Upon entering into The Works my friend and I were quickly greeted and seated by the maitre’d. Our server was quick to come to the table and explain the menu to us, very friendly too. She also gave each of us a 16oz measuring cup full of water, and the salt and pepper shakers looked like light bulbs- both added to the friendly atmosphere of the restaurant. 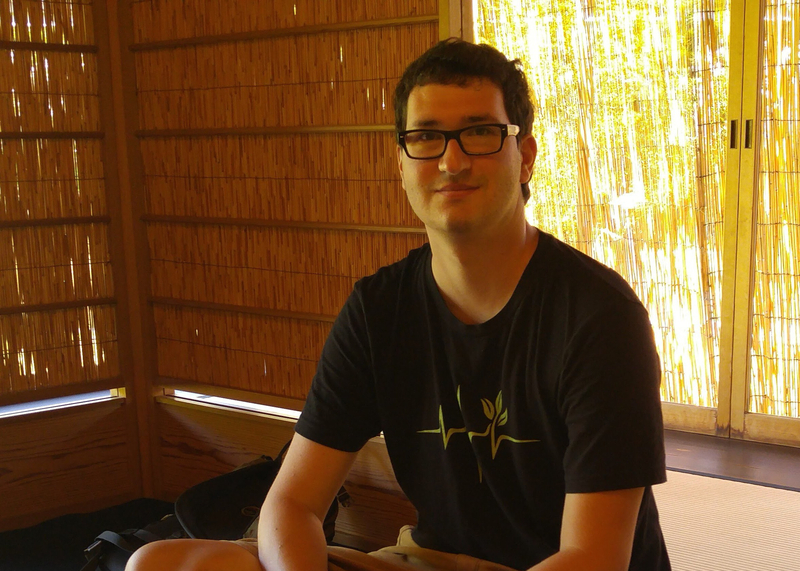 When you open the menu you are met with an overwhelmingly large number of options that can only be narrowed down after a great deal of thinking and some random elimination. You start by picking the toppings from a list of about 40 options, then pick the type of patty you want (such as turkey, beef, and, for an extra charge, elk). You also have a choice of several sides, including a few premium options such as sweet potato fries. Finally, you choose what type of bun you want- between white and multi-grain. I went with the Hunka Hunka burger ($14.53), cooked medium well, with an elk patty ($3.88 additional fee) and sweet potato fries ($1.76 additional fee). The food took around 15 minutes to arrive and the server came back briefly after we started to check on us. 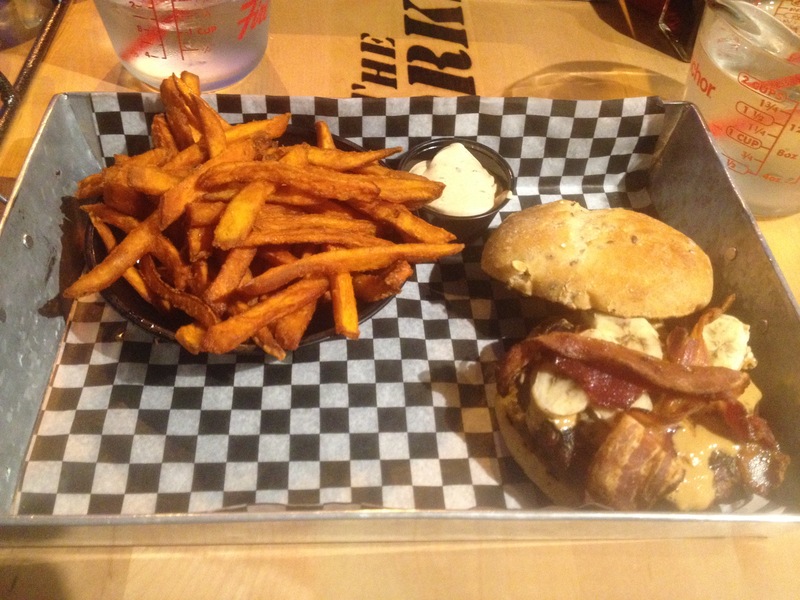 The Hunka Hunka burger had bacon, peanut butter, and banana slices and came on a regular sized elk patty. The toppings complimented each other and added a sweet kick to the burger. Aside from having peanut butter dripping down my fingers, it was very enjoyable. I would recommend however to get the elk patty cooked medium rare or medium, so as to bring out the flavour more. Otherwise, I suggest going with a beef patty, as most toppings were likely selected with a beef patty in mind. The sweet potato fries came with chipotle mayo dipping sauce. The fries were fantastic- every one of them had the ideal amount of crispiness and the dipping sauce was creamy with a hint of spiciness (but not too much). I highly recommend upgrading this this side. Overall the meal was very filling and well worth the money. The vast amount of topping choices makes me want to come back to try new combinations. I went here with a friend of mine and had the lunch combination with the Sweet and Sour Lappa (C71), which cost $10.50. 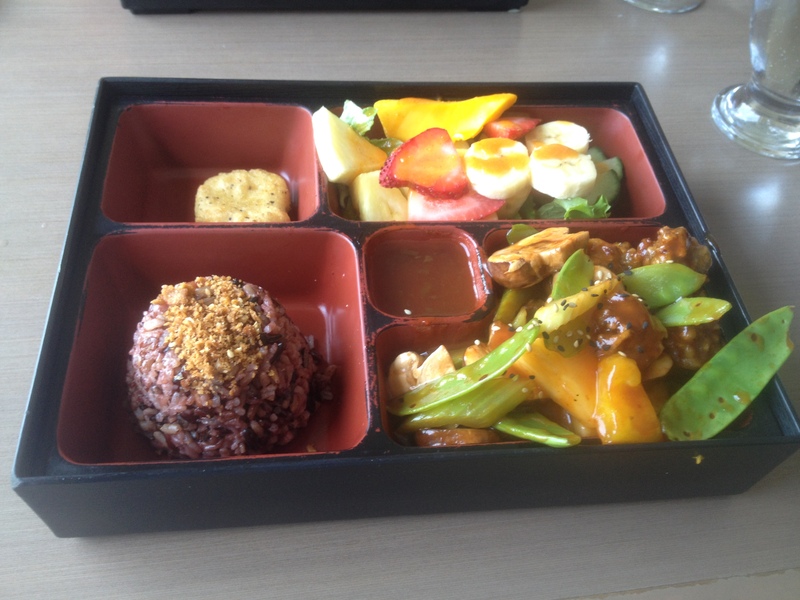 The meal came in a bento box with purple rice, some type of tofu thing (at least I think it was tofu), a fruit salad, and of course the sweet and sour lappa. The two small pieces of “tofu thing” that looked like mini-chicken-nuggets had a spongy texture but tasted great with the dipping sauce provided. I actually wish the dish had come with more than just two of them. The purple rice had a grainy seasoning which I thought took away from the flavour of the rice itself. In my experience purple rice tastes plenty good on its own and the two textures didn’t mix very well. The fruit salad was adequate given what it was. The sour sauce didn’t go very well with the sweet tasting fruit. It was an interesting but for the most part unsuccessful attempt at incorporating fruit into a sweet and sour dish. Finally, the lappa balls in the sweet and sour sauce were amazing. Apart from the two small “tofu-things”, this was the saving grace of the lunch combination. They tasted like a vegetarian take on small meatballs without trying to hard to create an artificial meat taste. This part of the dish was served on top of mushrooms, pineapple, and a few other fruits. Again, the only big flaw here was the portion being rather small. Should I return to this restaurant in the future I would most likely just get the sweet and sour lappa balls on their own, instead of as part of the lunch combination. Overall the food was pretty good despite a few shortcomings, including the rather small portions. Additionally, the service was rather slow despite there only being a few tables occupied. 1) Buying mostly microwave meals, pasta, and fast food. Of course the downfall to this option is it’s pretty unhealthy. Microwave meals are great for exam time and when you just can’t be bothered to make food. Unfortunately with the way students have to study these days it is easy to get into the bad habit of never bothering at all. 2) Cooking your own food. You will either love this option or hate it. But either way, there are some very fast cooking options that will hardly take away from your study time (or whatever else you choose to use your time for). To make matters better, you can make a few portions at a time and save it for later. Plus, what you’ve cooked will taste much better than a microwave meal! And once you’ve gotten into the swing of things you may very well come to find yourself enjoying cooking quite a lot. Another thing students like to do is go to the food court. A quick meal at the food court is usually around $5-8. You can get an 11oz striploin for about $8, or a portion of salmon for about $3-4. Both take about 10 minutes total to prepare, are super easy to make, and taste absolutely amazing. As long as you have noodles, soy sauce, and oil, you can stir fry. And stir frying costs about $2-4 per portion (depending on what you’re putting in it- be it veggies, chicken, beef, or other meats), is easy, and tastes great. All in all, it takes about 5-6 minutes to make. Stir frys are amazing for students. They can easily become your best friend. 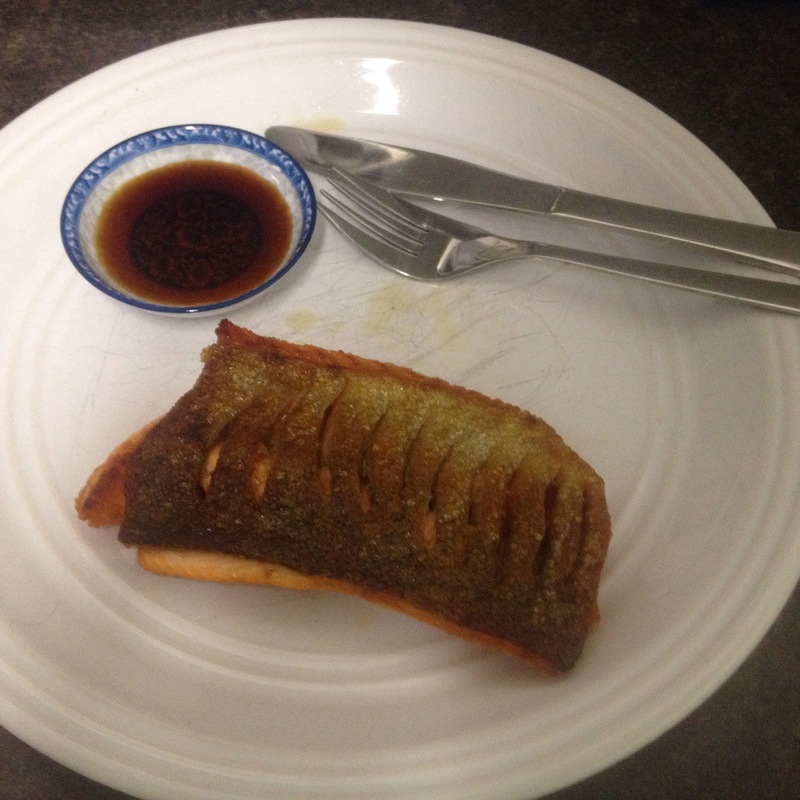 Today I made rainbow trout, and aside from my electric coil stove top taking about five minutes to reach the proper temperature, it took about SIX MINUTES total. Most of that was just waiting around for the fish to cook. 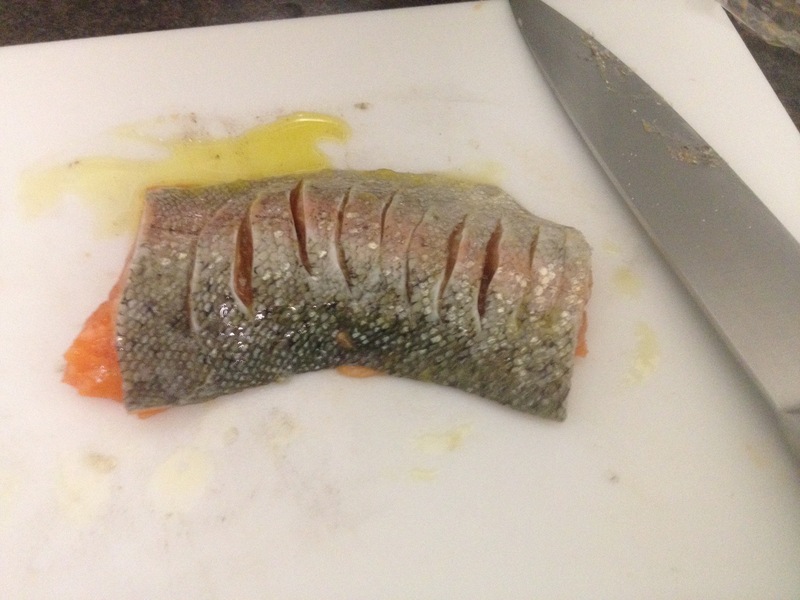 6) Flip the fish and tilt the pan so all the olive oil surrounds the fish on one side, let cook for 30 seconds. 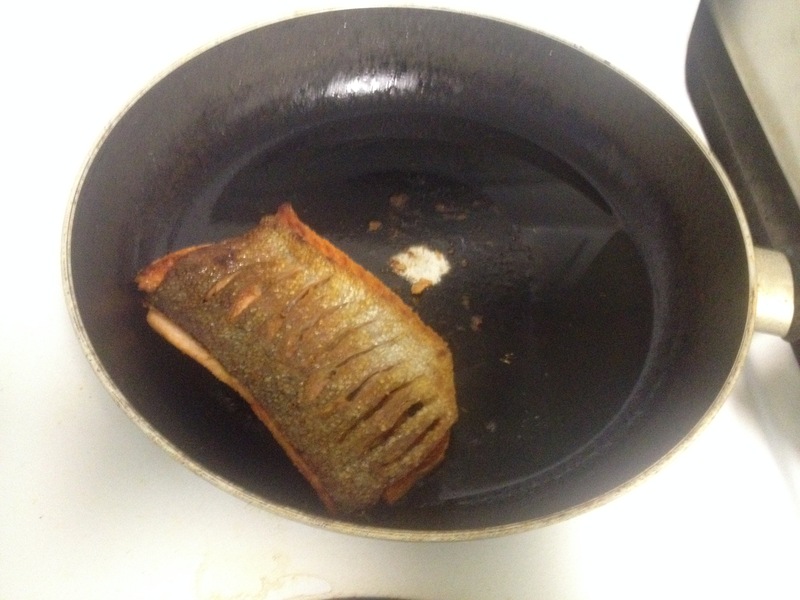 7) Take the fish out of the pan and enjoy! If you want something extra, I found Tempura sauce went rather well with the fish. You can find this ingredient in the “Asian” section of most supermarkets.